Key Difference: A local train is defined as an effective mode of transportation for traveling distances within the city and connecting its suburbs. It runs on laid tracks of rails that can be shared by freight trains or other long distance trains; whereas metro is a train that is specifically designed to run in metropolitan cities and has independent rail tracks. Both local train and metro can be defined as an effective mode of transportation for traveling distances within the city and connecting its suburbs.Both runs on laid tracks of rails but one major differnce between them is that rails of a local train can be shared by freight trains or other long distance trains; whereas metro is a train that is specifically designed to run in metropolitan cities and has independent rail tracks.Both local trains and metro are an effective mode of transportation for traveling shorter distances and are boon for every day commuters. As the traffic on road is heavy and everyone wants to reach on time, these trains are the fastest means of transportation. They are often confused as both are covering shorter distances and are widely used by everyday commuters. But still few differences are prominent between them and in this article we will find out the differences and similarities between the two. Metro is a train designed to run in metropolitan cities and its suburbs; for covering shorter distances than compared to a local train. Trains are popular mode of transportation for covering long distances. Metro stands for metropolitan and indicates its connection with the big cities. Metro cities have always suffered from traffic problems. Traffic on the road becomes a headache for everyday commuters and thus the concept of metro trains came into existence. Metros had been designed to divert some traffic of big cities from roads to the railway tracks. These metros have special laid rails for them and connect important places of the city and its suburbs. Local trains also are prominent is metro cities as these cities have high volume of every day commuters and thus traveling to parts within the city or to the suburbs becomes a tough job. In this sense metro strictly serves metro cities and local trains need to exist in metro cities as the need is greater in big cities. Generally, tracks for trains are in the level of ground but tracks for metro are also developed under the ground or higher than ground. Metros have their own independent track. This design is very effective as metro remains unaffected with the traffic on roads and thus provides a fast transit system. On the other hand, local trains generally use the same tracks that are laid for other long distance trains or freight trains. In some big cities of the world, metro is defined as the backbone of transit system as, a lot of time is saved in traveling and thus can be used for some productive output. As mentioned in en.wikipedia.org the first metro system, the London Underground was opened in 1863. Train rails are used for carrying passengers as well as goods while the metros are only for people. Metro does not share its track with other trains and thus the frequency of metro is much higher than compared to train. Traveling in bus can be difficult if you need to reach on time, as road traffic is sometimes unpredictable. In these kinds of situations one can totally rely on metro. Metro moves fast and thus time management is proper. The frequency of metro is greater than that of a local train. A local train may share its track with other modes of transportation on rails whereas a metro has its own independent track. 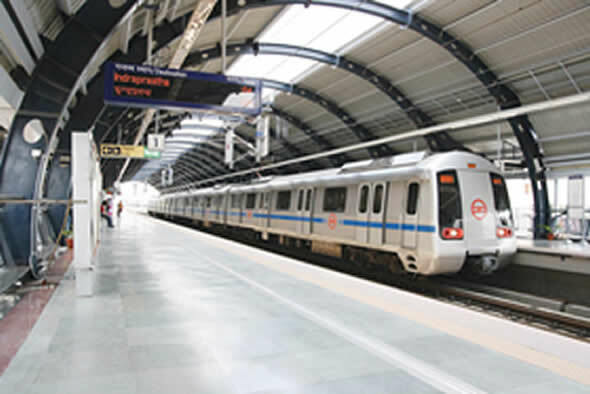 Metro is specially designed for metro cities therefore the metro stations are properly maintained and looked after. EMU is always preferable for high population areas like Indian cities. Also its cost is cheaper as done locally. It can carry more people than a metro. Infrastructure requirement is less for EMU as it shares same station and platform used by Express trains. An EMU with automatic door, broad gauge with few AC coaches will be a deal. Any metro train during peak hours will be crowded because their capacity is very limited. It can be fit to be used as a feeder for EMUs.